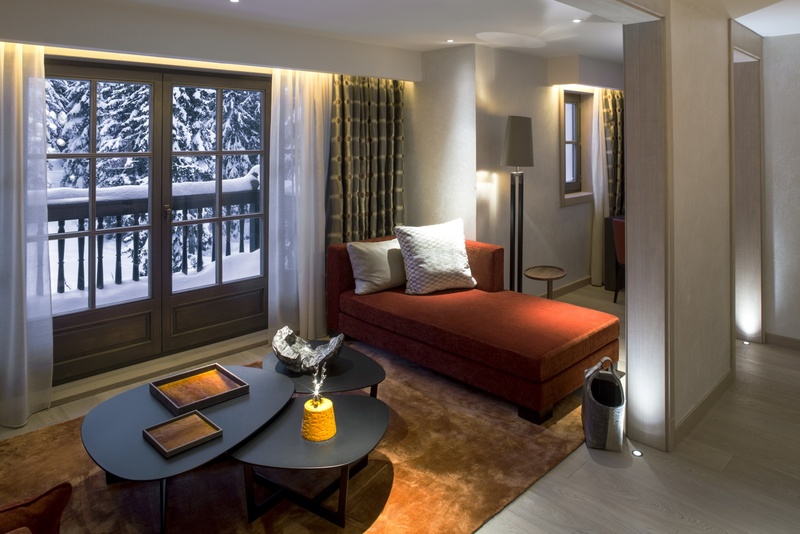 The Cheval Blanc Courchevel is a ski-friendly hotel and haven that provides a wonderful location in Jardin Alpin, near the world-class Courchevel 1850 location — home of the largest ski domain on Earth. Besides an ideal lodging hotel, this establishments boasts amazing designer interiors and great wood and bronze furnishings. 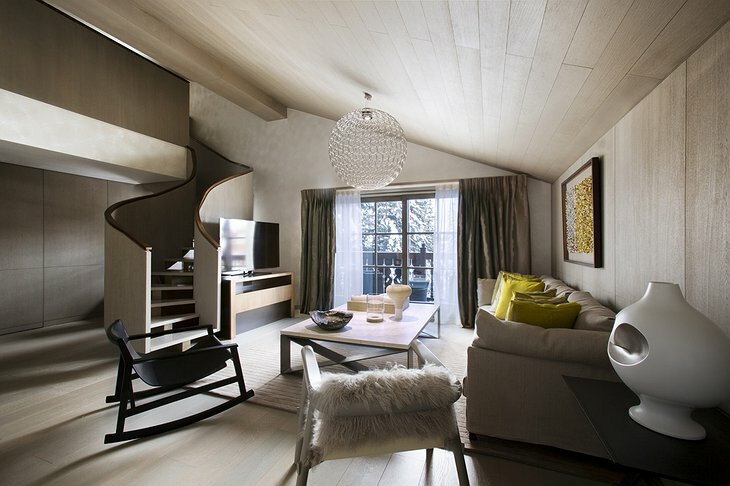 The style of the hotel is mountain-inspired but the greatest secret lies within. 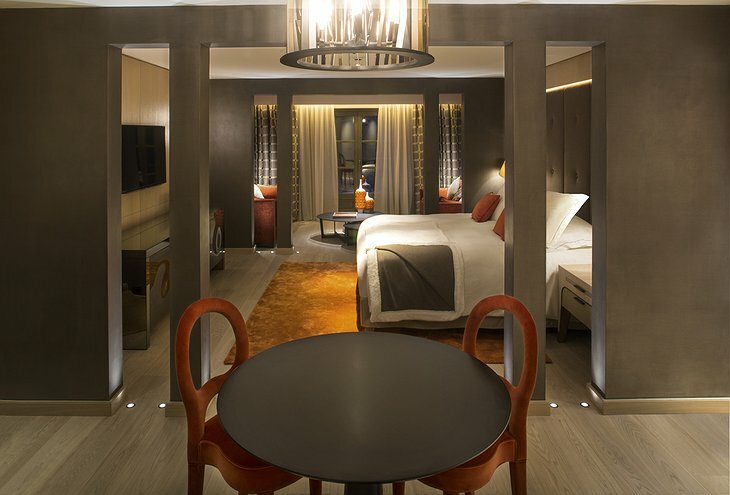 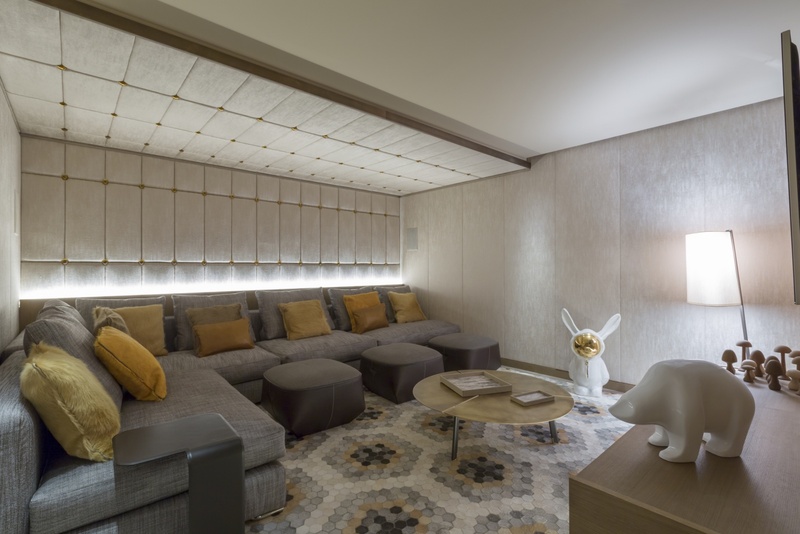 Every room at the hotel is different, decorated as one of a kind, with furnishings made of everything from fur to velvet to leather and cashmere. 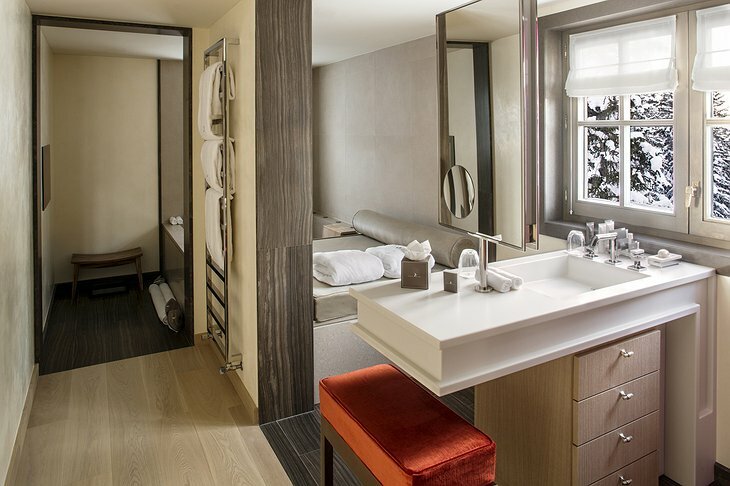 Rooms have unique features like floating baths to simulate weightlessness, saunas, and private dining rooms. 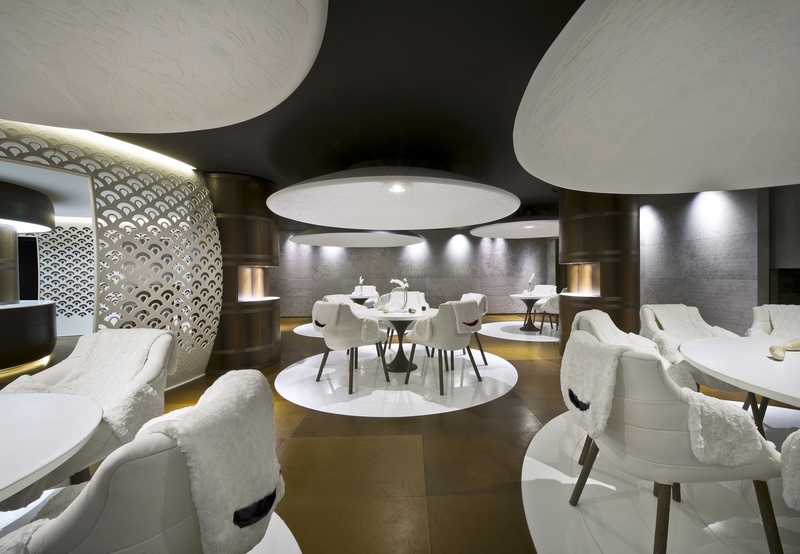 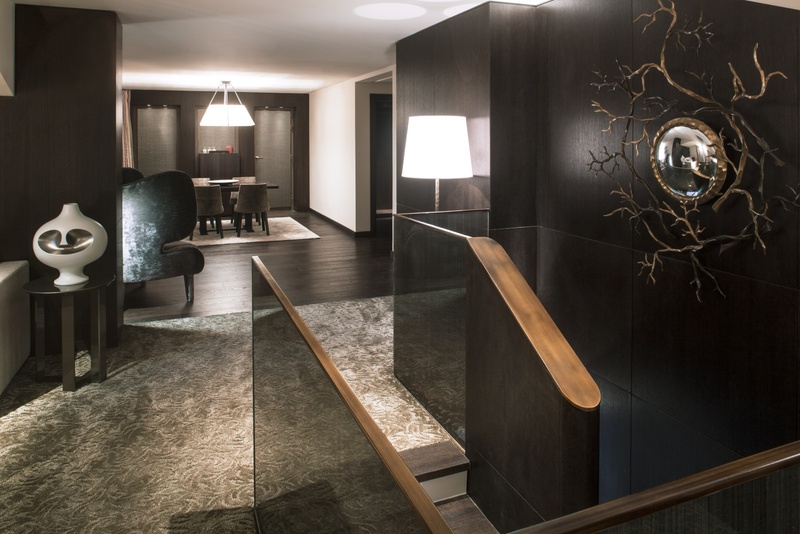 There are 36 suites, rooms and apartments in all, and each one is at once an elegant accommodation and an art exhibit. 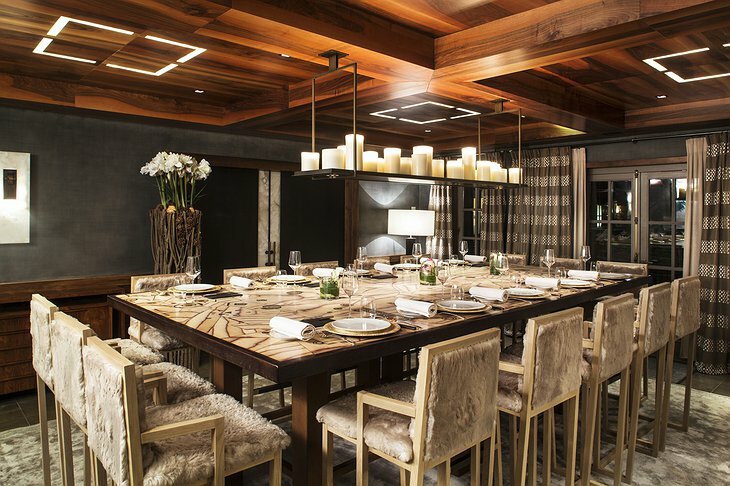 Modern luxury is all taken care of with onsite restaurants like the award-winning Le 1947 with a clear view of the chef at work, as well as a wine bar, a cigar bar and a spa. 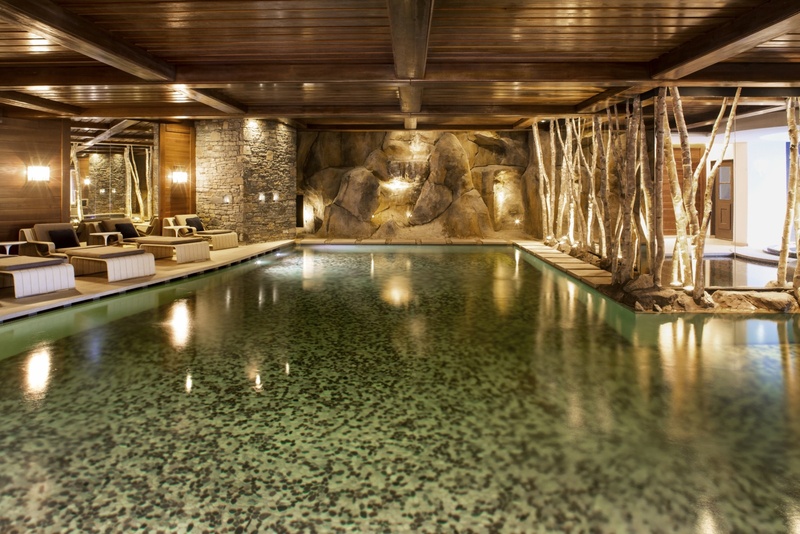 The spa offers beauty treatments, but you’re going to be even more impressed with the waterfall and stone décor, as well as an infinity pool and rain shower. 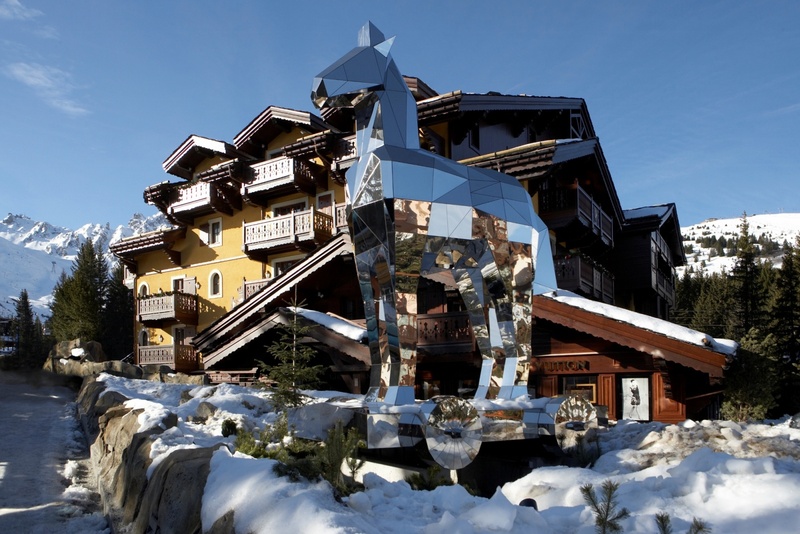 The greatest complement one could pay the Cheval Blanc is that with its luxuries and audacious creativity in furnishings, it actually distracts you from some amazing skiing at Courchevel! 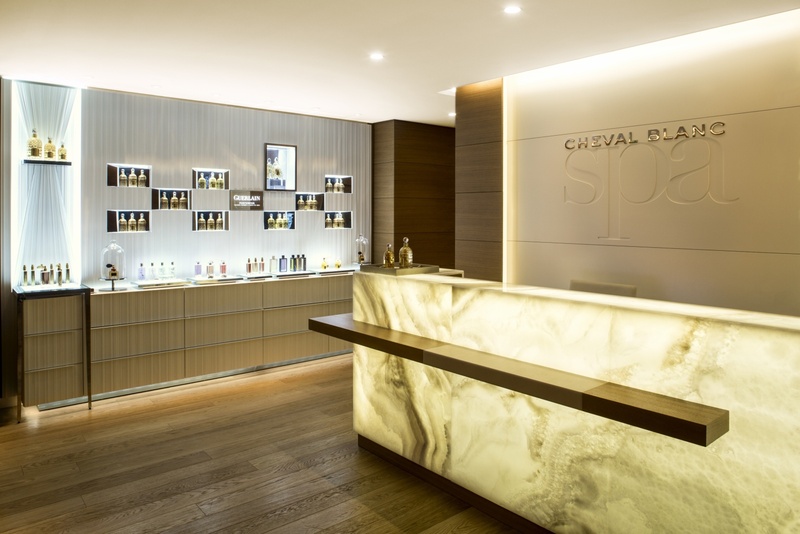 LVMH Cheval Blanc-Courchevel from Bureau Marie Louise on Vimeo.